A fully trained dog is the dream of every dog owner. After completing the 20 day full obedience course, your dog will be able to relax with your family-on a fishing trip, at the beach, or just at the park. In order for this to be possible, every command must be fully ingrained in the dog’s mind, and every member of the family must know how to use them. 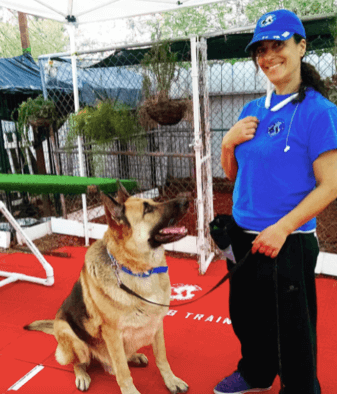 Through this course, the dog will participate in socializing with other dogs and animals, physical training in our agility obstacle course, obedience training in different settings such as a K9 school, a shopping plaza, or a supermarket, all while in the presence of other dogs. This training will also teach the dog to not pick up anything from the ground, or take any strange food that can be hazardous to its health. The dog will also learn five different commands through gestures, that will allow the owner to give commands without using his or her voice from a long distance. A dog that can fulfill commands based on hand motions tends to be significantly more attentive and has better communication with the owner. We will also train your dog’s stress levels by desensitizing it to loud noises such as a garbage truck. The dog should not react in fear to garbage trucks, fireworks, or any other loud noises. Any loud noises coming from the kitchen should also be not a problem. With the help of the commands “sit”, “down” and “up”, the owner can stop his or her dog, whether it’s in front of the store where it will wait for him or her and not wander off. Training the dog to “place” will help at home so the dog quickly returns to its place and doesn’t leave until being permitted to do so by the owner. This will be beneficial when guests come over and are not immediately overwhelmed by a jumping dog and aren’t bothered. If the owners’ friends notice their well-behaved dog, then the owner will allow the dog to greet the guests properly and without jumping. 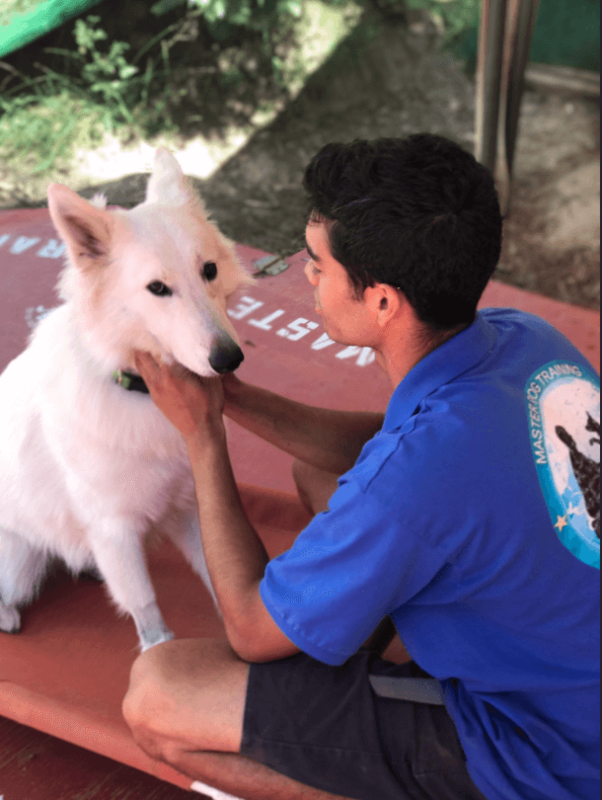 Our trainers will also work with you on stopping behaviors such as swiping from the table, begging for food, and just generally being a nuisance during meal time because after our 20 day program, the dog becomes much more well-behaved and has behavior “rules” that help it and its family live in harmony. If you feel that your dog might have an aggression problem – do not wait! Call us today (818) 290-9411 or register online. 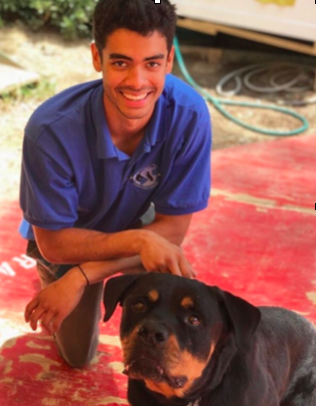 We train with every breed of dog!